The set up of ITEXPO takes place today and tomorrow. 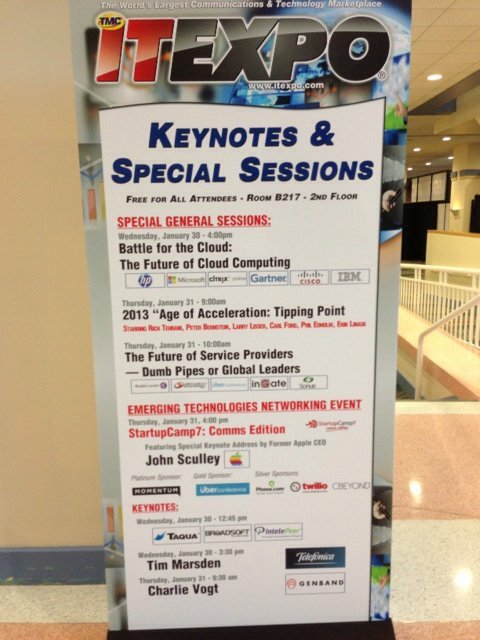 Starting in the morning we welcome attendees to Asterisk 123 which takes place at 9:00 am. This will be a great opportunity to learn about open-source communications. Its a huge day for M2M tomorrow as well - the ILS Technology Workshop also kicks off at 9:00 am and then at 2:00 pm its Battle of the M2M Platforms which was a huge hit the last time it ran. The software-defined networking or SDN Workshop also takes place tomorrow at noon and should be a great way to keep up with one of the more revolutionary technologies the world of networks and communications has seen in the past few years. I took some pictures of a few signs here at the show to give you some flavor of what people will see when they get to Miami. I also took a shot of the construction of the registration area everyone will see when they come to get their badges. 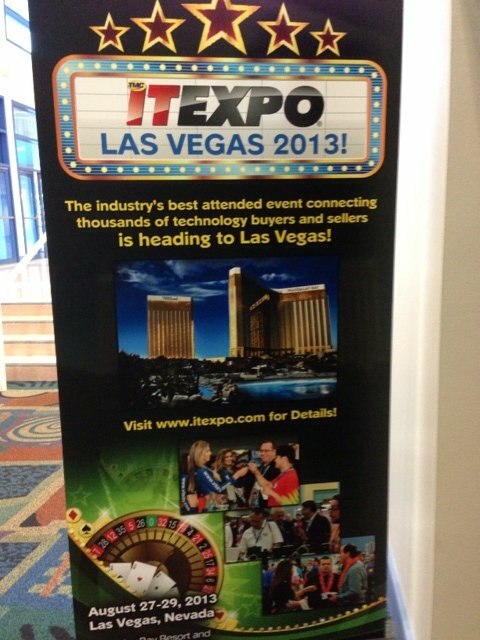 I have also included the sign which announces ITEXPO is moving to Vegas in late August. You can also see the details regarding winning the Jeep. I was thinking about it recently - I am not sure how many cars TMC has given away at shows but if you count our past CTI Expos I would venture to say we've probably given away at least half a million dollars worth of vehicles at our events - with no end in sight. Hope one of my blog readers wins it. Good Luck. 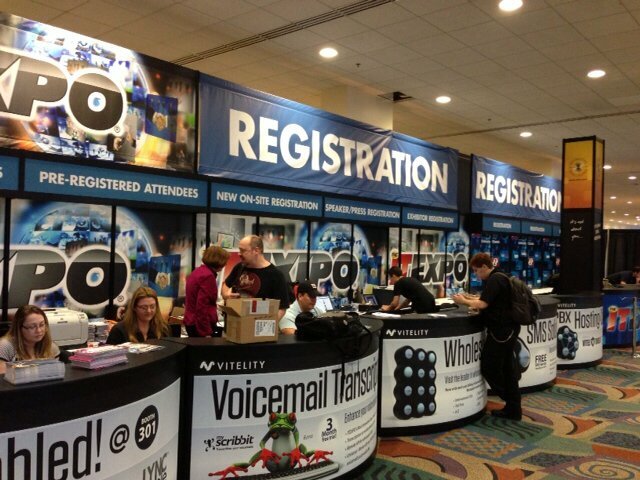 There is still time to register and we hope to see you at ITEXPO.